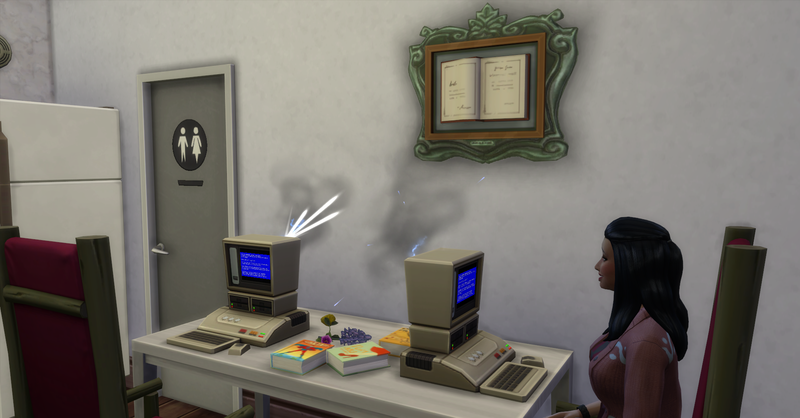 Rosabelle is about to pop from her pregnancy, they can definitely expect a new addition to their household today! Rosabelle wakes up at 3:30 this morning really needing to pee again. 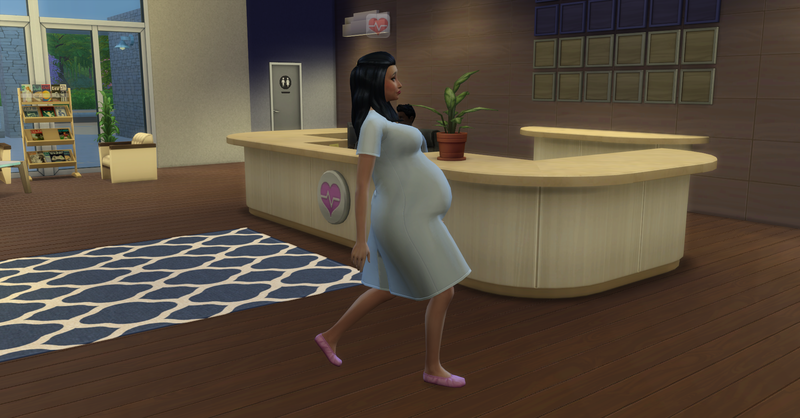 After using the bathroom, she can feel that the baby is going to come this morning so she calls her work for family leave today. 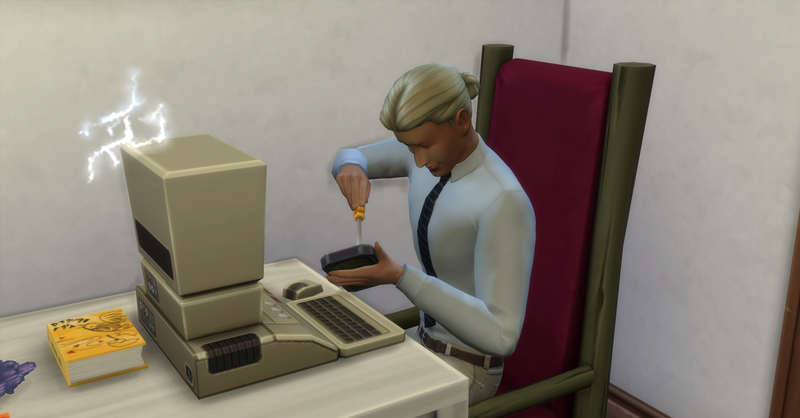 Rosabelle resumes work on her book, meanwhile Pawel has gotten up and eats cereal for breakfast. Then they trade and Pawel uses the only working computer to continue his book while Rosabelle reads. 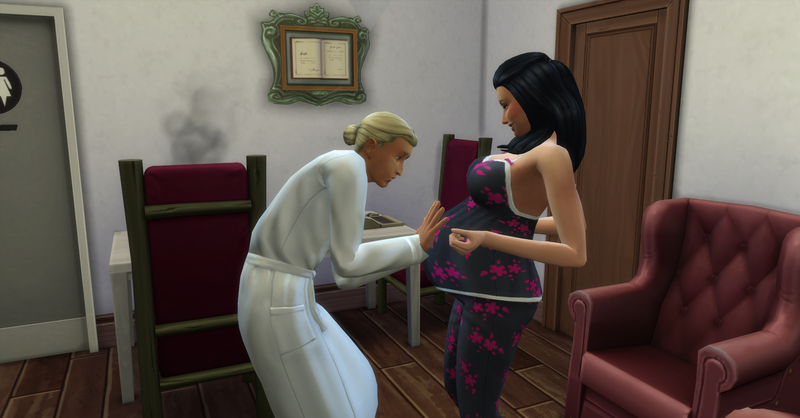 Then Rosabelle goes into labor with the baby and Pawel starts freaking out with prenatal panic! After he finishes freaking out, since there are a few hours before she needs to go to the hospital he gets to feel his kicking baby! Pawel then hugs Rosabelle and reassures her that everything will be perfect, there is a brand new hospital and she will receive the best care available. 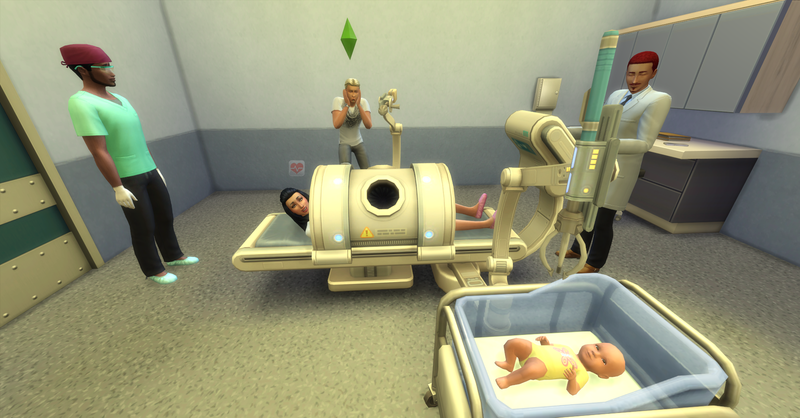 The Prospero’s go to the newly built hospital to have the baby delivered. 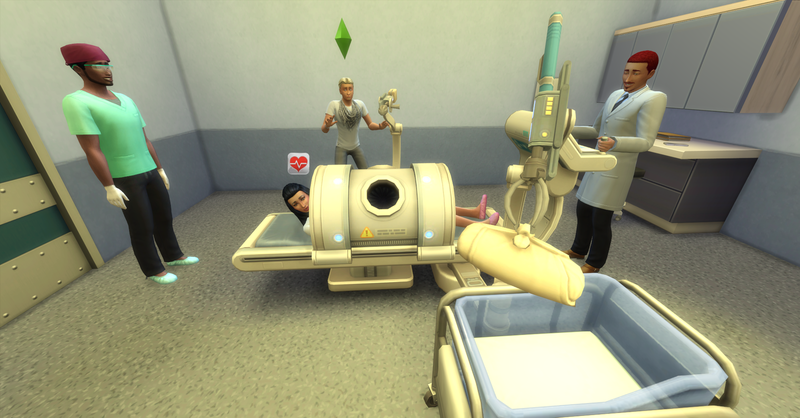 They arrive at the hospital, Pawel is in full blown panic mode! Rosabelle checks in at the reception desk. She is just ready to pop! They give her a gown and direct them back to the delivery room. The procedure begins, Pawel seems very nervous. 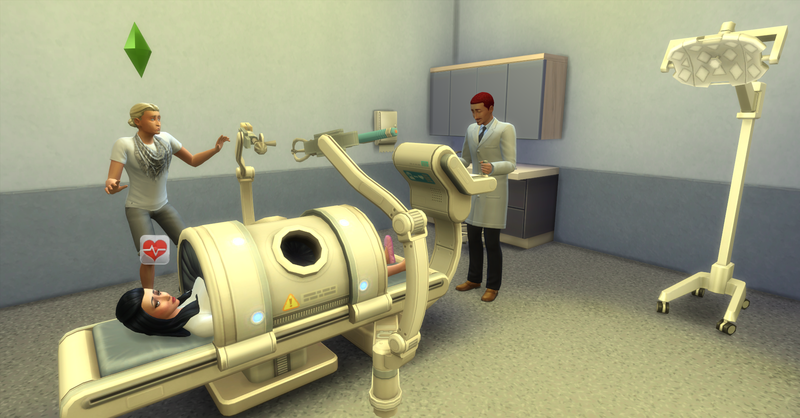 With good reason too, the doctor accidentally removes Rosabelle’s heart instead of the baby! He got it right this time, and the parents eagerly wait to meet their new child. 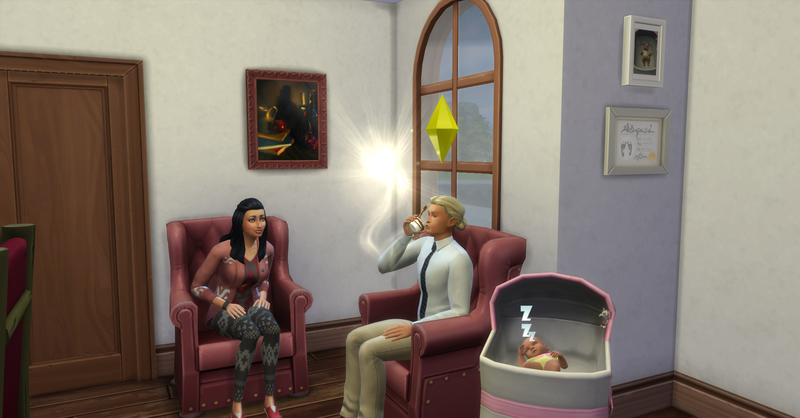 They return home from the hospital with their new baby, Fortuna Prospero, who is the light of both their lives. 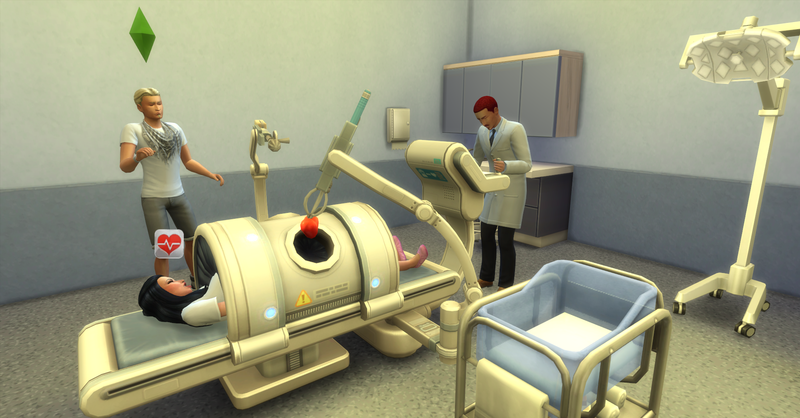 Even though their ultimate goal is to make §1,000,000 simoleons they are temporary distracted by this helpless child who needs their attention full time. Fortuna is the realization that the Prospero family name will continue and that their goal of a million is a possibility! 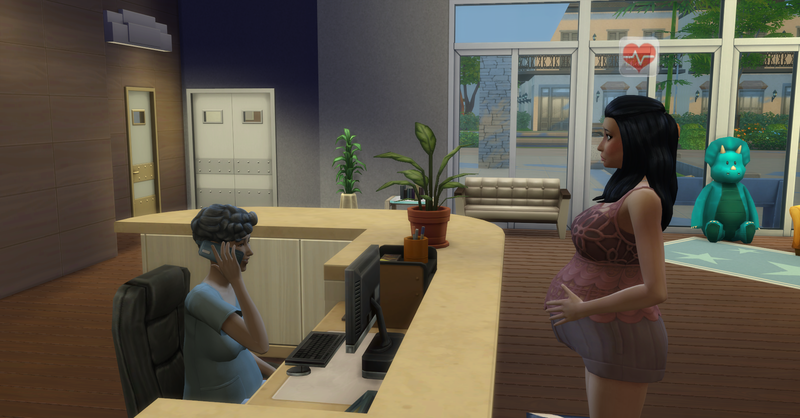 Pawel skipped the first few hours of work to be with Rosabelle during Fortuna’s delivery but now he needs to go to work to make some money for his growing family! Rosabelle is on family leave today so she gets to spend all day with their new baby! She just can’t get enough of her and wants to interact with her all the time. Fortuna Prospero’s birth certificate from the hospital and a baby photo to remember her by. 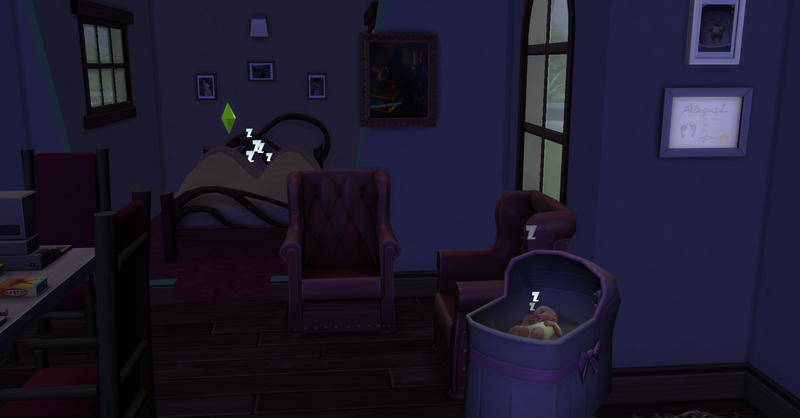 Rosabelle tends the garden and harvests their first crop of flowers while the baby naps. Afterwards, she works on her book for a while. While she is working the computer breaks so now they do not have a working computer! Pawel is going to have to figure out how to fix them soon. 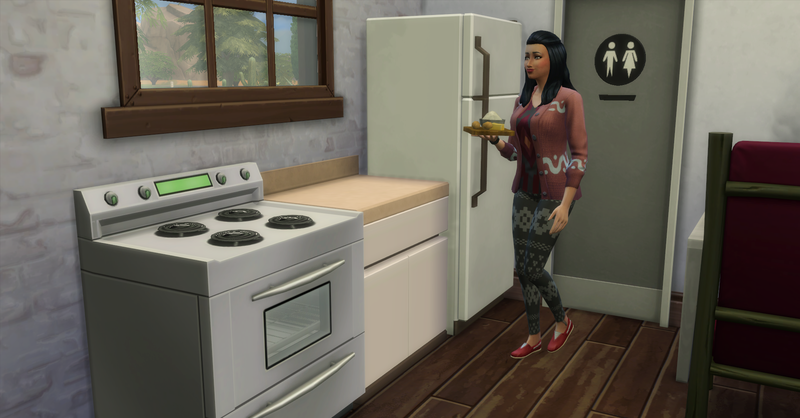 Pawel has been doing all the cooking in the house because he has a higher skill level, but Rosabelle needs to work on her cooking skill for the future. She knows that Pawel will be hungry when he gets home from work so she cooks scrambled eggs (§8, funds §31,146). 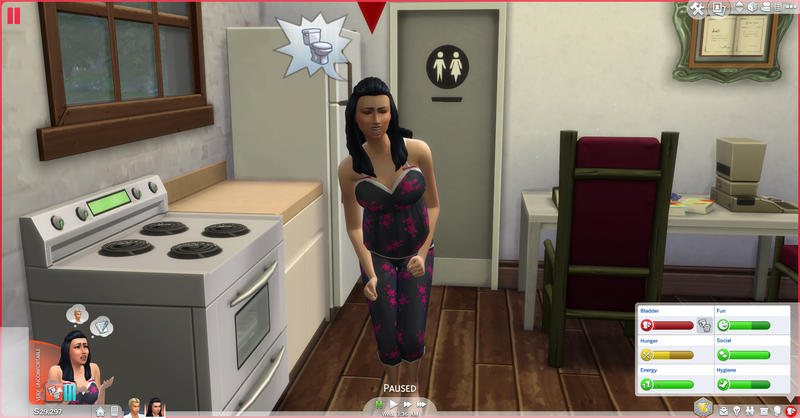 The baby starts crying while she is cooking. She finishes cooking quickly and breast feeds her daughter. 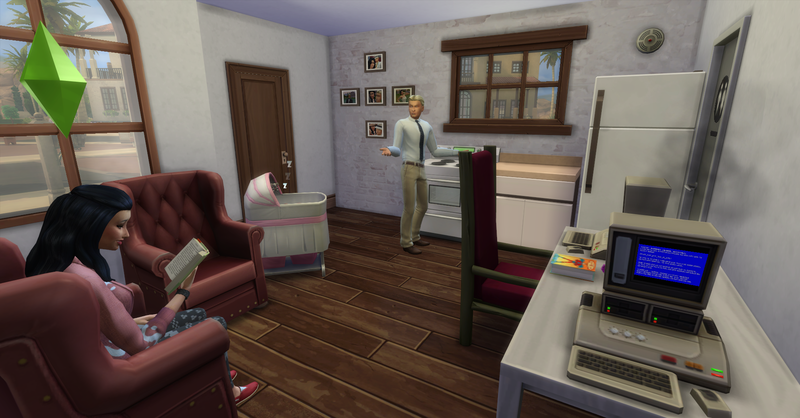 Pawel returns home from work with §351 simoleons and Rosabelle earned §480 simoleons for her family leave and another vacation day. 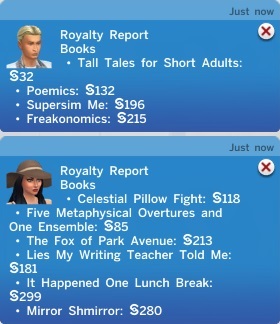 Their funds are now §31,977 simoleons. He immediately complains about the broken computer because he can’t do his daily work task. Pawel immediately goes to the library after returning home to study handiness so he can fix the two broken computers. He reads until he is level 4 handiness. It is getting late and he is getting hungry so he goes home to Rosabelle and the new baby. Rosabelle is outside to greet him when he gets home from the library. Pawel now has enough satisfaction points to buy his own Potion of Youth, he is 3 days from aging up. Rosabelle is very eager for him to drink it and stay young with her for a while longer. After he eats he tries to fix one of the computers before he goes to bed. Pawel does finish fixing the computer but he falls asleep in the chair after. He gets 3 common parts for fixing the computer which he keeps. 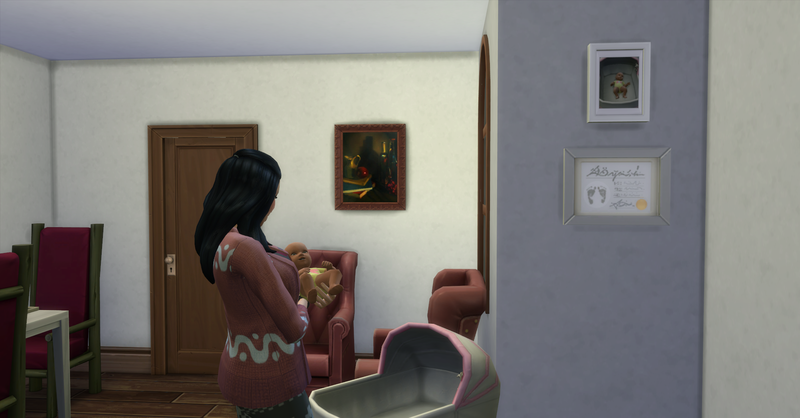 After Pawel goes to bed, Rosabelle changes the baby’s diaper. Then Rosabelle joins Pawel in bed and the whole household sleeps soundly.